A floor standing speaker is designed to bring out a wide range of sounds whether they are being used for a DVD experience or just plain old rock and roll. We have incorporated dual 6/12- inch polygraphite long throw woofers to deliver subtle but pounding bass as low as 35 HZ. The tweeter is the clearest tweeter available for home speakers. PA-6C center channel - The PA-6C has been engineered to deliver all the details from the smallest whispers, to the classic sounds of Opera. We have incorporated dual 6/12" polygraphite woofers to deliver subtle but pounding bass. 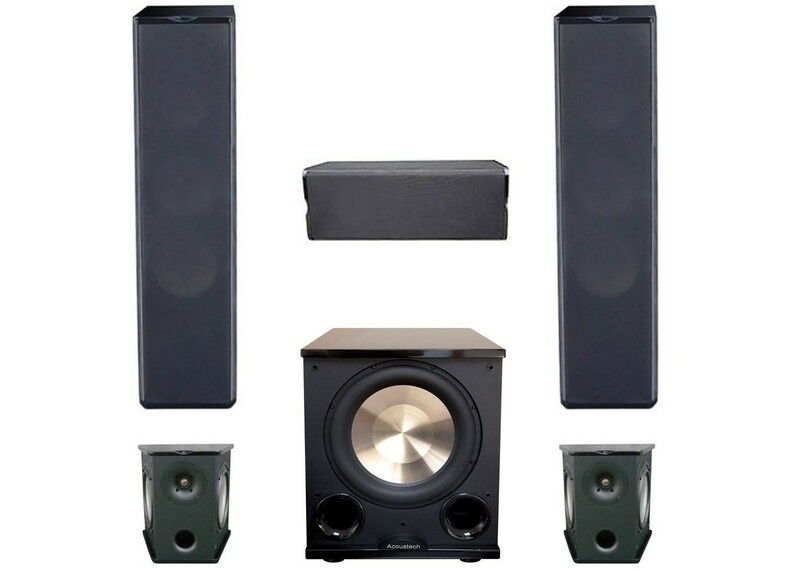 PA-6S Surround speakers are designed to bring out the surround feel of DVD movies usually found only in movie theater showrooms. Bullets flying pass your head - helicopters flying out of the room, The PA-6S has been engineered to replicate these sounds perfectly.